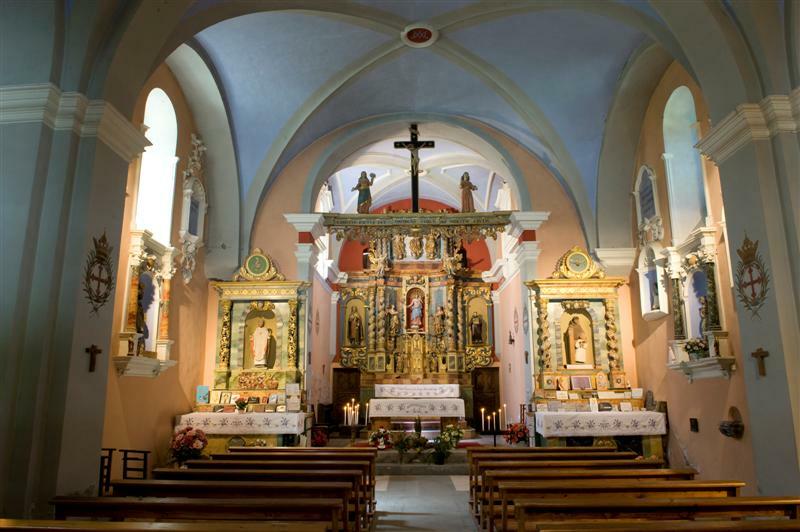 "An extremely ancient place of pilgrimage with a curious Baroque-style oratory, covered with Renaissance frescoes and gilt, in the purest tradition of Savoie's religious heritage..." wrote Roger Frison Roche in Mont-Blanc aux sept Vallées. The adorable Church of Notre-Dame de la Gorge, a neat white chapel with a painted facade where many young ladies have dreamed of being wed, marks the end of the road and the start of mountain trails and footpaths. 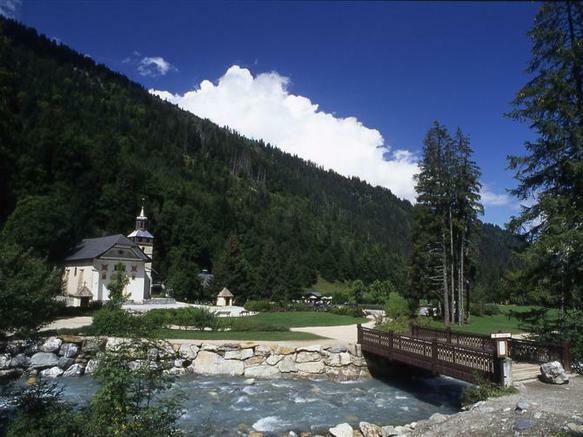 It was rebuilt in 1699 by Jean de la Vougniaz, a master builder from Valsesia who had just finished the reconstruction of the church in Saint-Gervais. 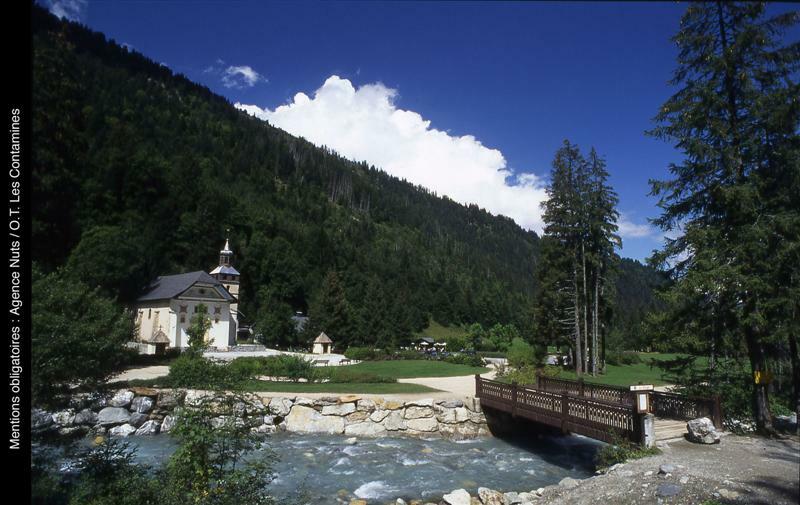 In the XVIIIth century, Notre-Dame de la Gorge became the parish church for all the residents of the valley. 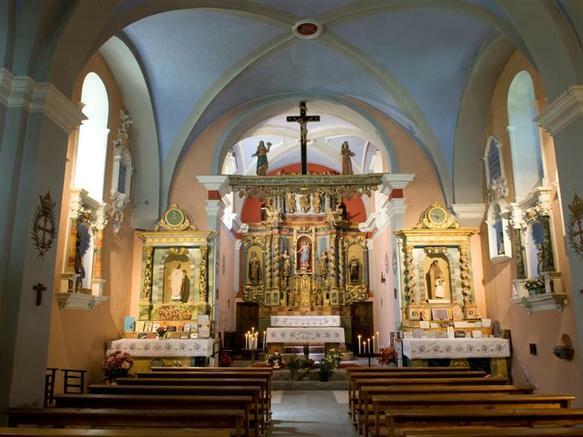 But it was also a sanctuary with a strong spiritual influence, devoted to the cult of the Virgin Mary: from time immemorial, every year on August 15th, the pilgrimage to the Gorge draws a great congregation. Finally, Notre-Dame de la Gorge is a place of prayer for those making the journey through the Col du Bonhomme. Many a traveller has crossed the threshold of this church either to say a prayer of thanksgiving after a safe journey, or to spend a few moments in prayer before the dreaded departure.